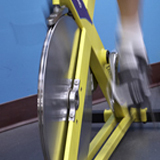 Indoor cycling is a great cardio exercise — for everyone, at any age and every level of fitness. Our studio classes offer a great option for outdoor cyclists during the off-season or when time constraints make outdoor riding impossible. For runners, cycling is a great cross-training option. 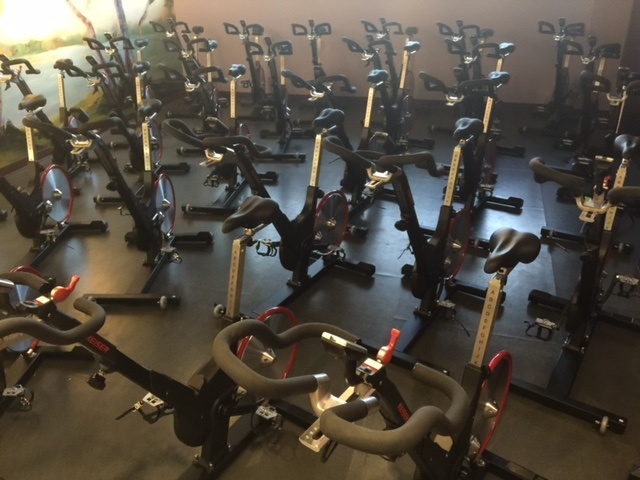 Milestone offers more than 30 cycling classes per week – more than any other facility in Louisville. We also offer one-on-one personal training for those interested in learning to ride an outdoor bike or perfect their outdoor riding skills. Our certified, knowledgeable and experienced instructors are here to answer your questions, provide support and help you reach your fitness goals. We have award-winning Keiser M3i indoor cycles! Adjustable Shimano™ Combo Pedals |RPM (Revolutions Per Minute) | Power Output Displays in Watts (currently generating) | Heart Rate (Polar compatible) | Pedaling Time | Gear (Resistance) (1 to 24 gears) | Odometer / Trip Distance. Perfect for beginners and advanced cyclists. We recommend cycling on the studio bikes only when a certified instructor is present. Shoelaces should be tucked into the shoes. Cycling class participants should wipe down their bikes after use – rags and cleaning solution are provided. Please arrive 10 minutes before the start of class to allow the instructor to fit you to the bike and provide you with safety instructions. See the Group Exercise schedule for class offerings. Cyclists – did you know? For those who ride both indoors and outdoors, Milestone has a partnership with the Louisville Bike Club, with several rides leaving from the center. 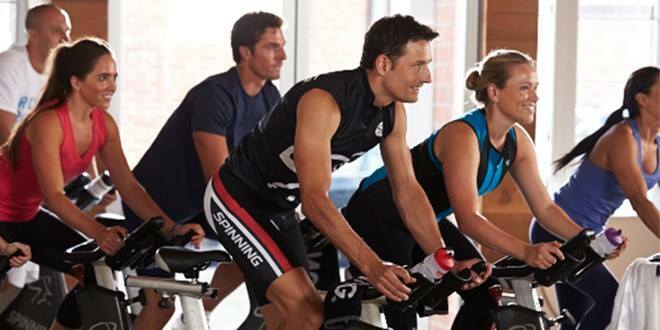 Indoor cycling is a great way to keep up your training momentum during bad weather. Pilates training is a great way to improve your cycling. For more information, call (502) 896-3900, ext. 114 or contact us online.